We typically don’t take risks in our lives because we are focused on the fear-based “what if”, rather than the deeper sense of life purpose that is calling us to ponder any given action. It is my belief that no matter how seemingly precarious our lives appear on this earth, we are eternally safe. And it is only in taking these risks that our hearts call us to, that we are ever fully alive and fulfilled. The fragile eggs suspended mid-air represent that illusion of danger. 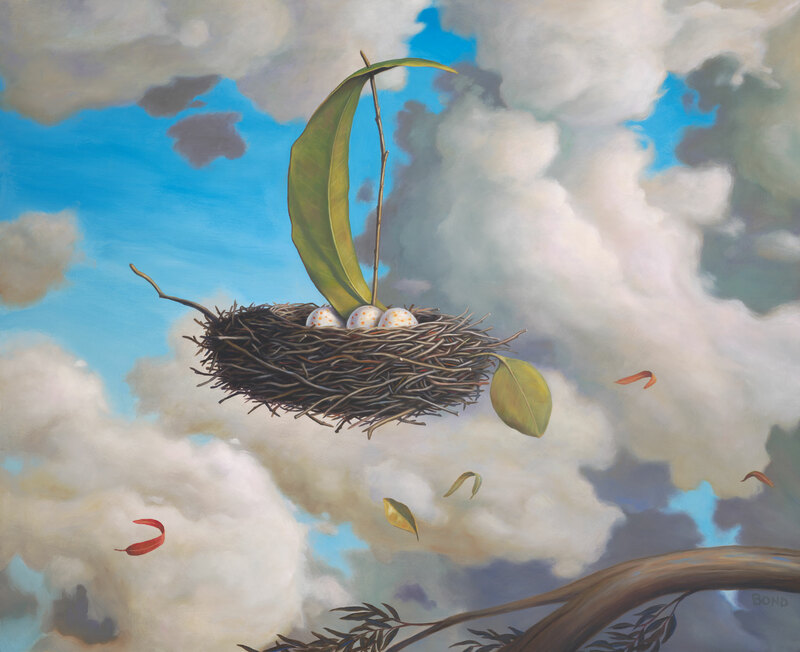 But the nest, sail and wind symbolize the divine grace and support that will always carry us through to our goal of an expanded life when we push off from the ledge.